Post Graduate Diploma in Management (Human Resource Management). Post Graduate Diploma in Management (Rural Management). Post Graduate Diploma in Management (Information Technology). Post Graduate Diploma in Management (Finance). Post Graduate Diploma in Management (Marketing). Note: Out of the above, 50% seats are reserved for SC/ST and Christian candidates. Those candidates who are appearing in the final year or final semester of their graduation degree examination in the academic year 2017-18 can apply for the admission process. Selected candidates have to complete their graduation with 55% marks in aggregate (50% for SC/ST) by August 2017. Qualifying Entrance Exam: To get admission in XISS Ranchi PGDM courses, the candidate has to appear in an all India level management admission test - Xavier Aptitude Test (XAT)/ Common Admission Test (CAT)/ Common Management Admission Test (CMAT). The application form of XISS Ranchi PGDM Admission 2018 has to be filled online only. The candidates can pay the application fee both online & offline mode. The candidates who wish to pay the application fee online can do so using Credit/ Debit Card/ Online Banking and those who wish to pay the fee offline have to send the Demand Draft. STEP 1: Registration - Candidates have to register first using email ID & mobile number and after that, they will receive login ID and password, for further use. Personal Details - Candidates have to fill their personal details such as Name, DOB, Gender, Address, etc. Education Details - Candidates have to fill their educational information such as 10th & 12th, Graduation and Post-Graduation percentile, institution & board name, and year of passing. Candidates have to select the examination, no. of application, preferred course, and GD/PI centers. Candidates have to upload their scanned signature (3.5 cm x1.5 cm) in JPEG format and not exceed 30 KB file size. STEP 5: At last, the candidates have to make the payment of the Application Fee. Online: Candidates can pay the application fee through online transaction using Credit / Debit / ATM Cards / Online Banking. 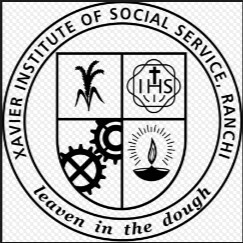 Offline: Candidates can also pay the application fee through Demand Draft; it will be created in favor of “Xavier Institute of Social Service”, payable at Ranchi. The candidates who have paid the application fee online have to submit the application form online only. However, those who have paid the application fee through demand draft has to send the DD along with printed copy of the duly filled application form at the address mentioned below. Candidates are also advised to take a printout of the filled application form and instructions for future reference. XISS Ranchi PGDM Application Fees are different as per the specialization. The candidates belonging to the respective categories must pay their Application.The fee has to be paid through online mode only that is Credit Card/ Debit Card/ Net Banking. Note: Service Charges and Taxes extra as applicable on making online payments/ demand draft. Shortlisted candidates will be called for Group Discussion and Personal Interview to be held at Bangalore, Kolkata, Mumbai, New Delhi and Ranchi in the month of March 2018. The candidates will have to submit the copy of admit card or a letter from the principal of the college where they are studying at the time of GD and interview. Preference will be given to Engineering, Economics, Commerce, Management and Computer Science graduates and candidates with relevant work experience. There is a limited number of scholarships are available to the students of XISS from corporate houses like TATA Steel, NTPC, Maruti Suzuki Ltd. etc. The government of Jharkhand has also initiated a number of scholarships and stipends for the Scheduled Tribe, Scheduled Caste students. Details of these scholarships and stipends are made available to the students as and when they are announced. Financial Services & Insurance (BFSI), Others.